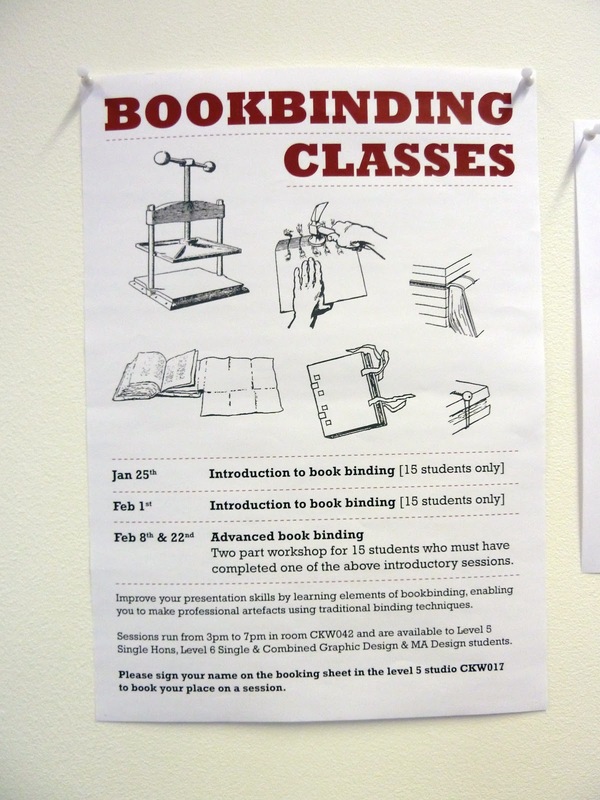 LOVE THY DESIGNER: Bookbinding Class! Well yesterday was a very hectic day in Uni. Had Identity work to do, then a lecture from a PHD student on ethics in design, then straight after a meeting with a company called Waxwing, then to pretty much wrap it up 4 hours in a bookbinding class. The class was pretty basic and I didn't learn anything mindblowing that I didn't already know but it was good to do more hand crafts rather than working on my laptop. I did a simple saddle stitch which I have used before, and then a japanese stab stitch which was new to me and a few others. 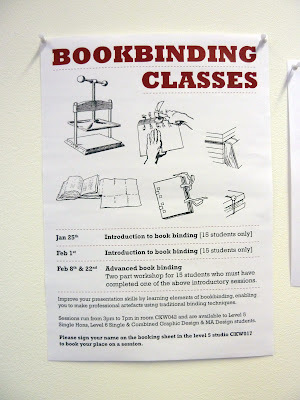 Pretty much a procrastination session of having fun but I can't wait to go to the advanced classes that begin in a couple of weeks (will put up pic examples from them) and then I can start on my letterpressing/bookbinding project extravaganza!